Northrop Grumman's Firescout unmanned helicopter is programmed on the ground via a laptop computer. 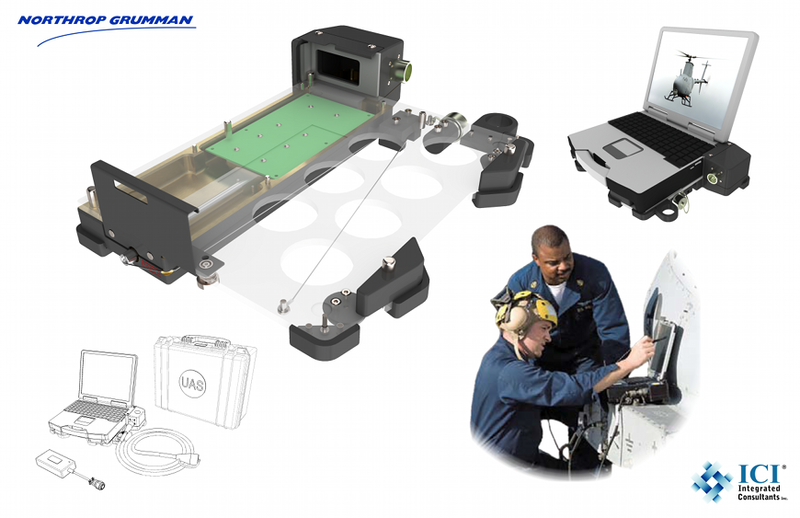 ICI designed a chassis system to hold and protect the laptop while it is tethered to the UAV. The cradle contains an electronics tray that processes the helicopter's signal before feeding it into the laptop.